and deliver unique benefits for projects in remote locations. Four Nomad trackers can be loaded in a 40 foot shipping container. The compact design of the Nomad allows 100 solar panels to be mounted on a tracker in the factory. That means a transport density of 150kW prefabricated solar trackers per 40 foot container. Nomad solar trackers follow the sun from east to west, rotating around a horizontal axis. The trackers start the morning with the solar panels facing east at a 60° angle and rotate through the day until the solar panels face west at a 60° angle. This allows solar panels to get optimum exposure to direct rays from the sun. 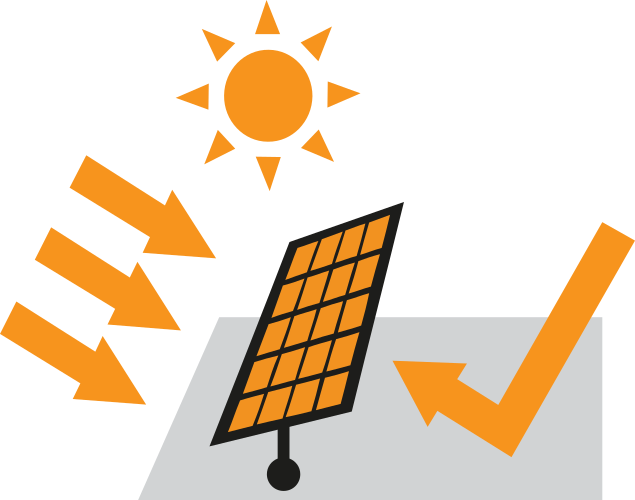 Solar panels on single-axis solar trackers are exposed to more direct sunlight than fixed tilt solar systems. This increase in exposure to sunlight translates into a higher energy yield and a flatter generation curve. 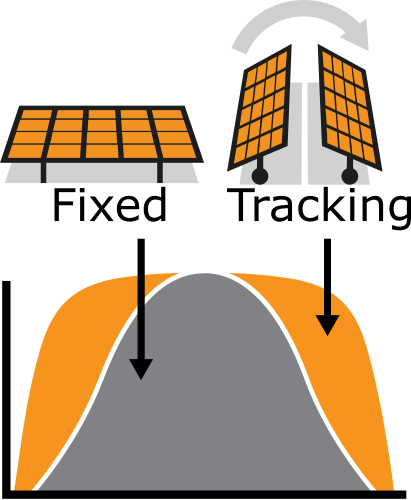 Solar trackers reach their peak generation early in the day and continue peak generation until late in the evening, yielding up to 35% more energy than fixed tilt systems. Nomad solar trackers are delivered to site prefabricated, enabling fast and easy installation. Nomad installation is up to 4 times faster than a traditional solar tracker, meaning lower labour costs and less time spent on remote sites. Nomad trackers can be easily packed up and moved. This means that the system can be used in multiple short deployments over its 25-year design life. The flexibility of being able to move your solar plant reduces the risk of having a stranded asset and is ideal for new generation business models like short term PPA’s and rental solar. Bi-facial solar panels collect solar energy from the front and back. Light that is reflected on to the back of these panels off surfaces like soil and other structures is used to generate additional energy. Bi-facial panels are especially well suited for use on solar trackers and can increase energy yield from Nomad trackers by a further 20%. Solar works in parallel with an existing electricity grid or generation plant. Energy produced by a solar plant displaces energy from the grid or other generation sources, resulting in cleaner and cheaper energy use. Solar energy can be up to 75% cheaper than diesel generation.